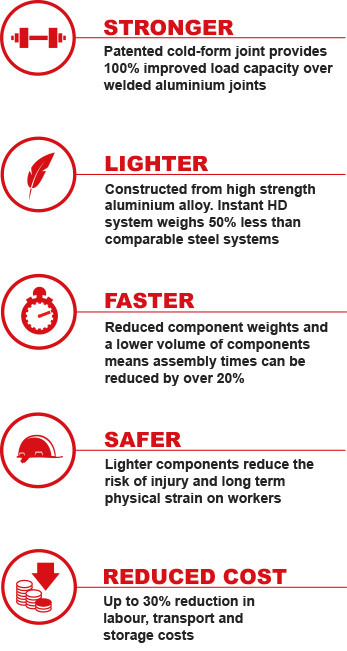 Instant HD is the system of choice in heavy-duty applications where safety, speed and versatility are paramount. Our patented Cold-Form jointing process is a technological advancement on our original Rib-Grip jointing system successfully used in our aluminium towers for over 50 years. Instant Upright remain the market leader in the use and development of this technology. The Oil & Gas industry is one which provides a host of challenges when it comes to access requirements. Unsurprisingly, Instant HD is the perfect fit for such an environment whereby it’s unique properties make it the ideal fit for all scaffolding projects. 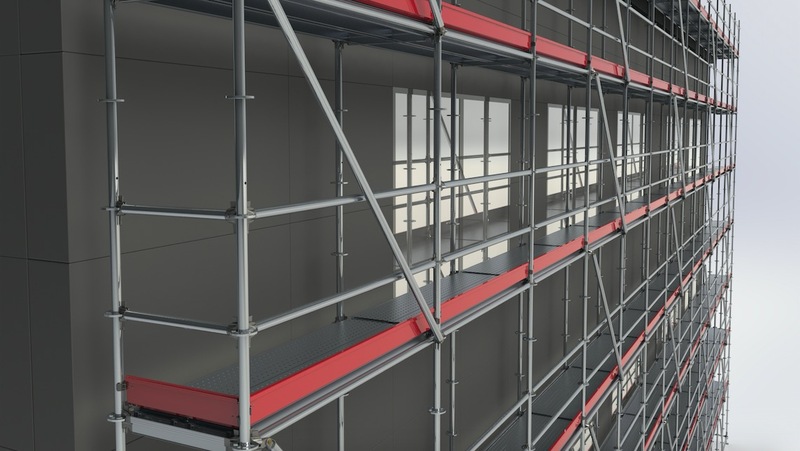 The Instant HD Modular Aluminum Scaffolding System is extremely versatile in that it allows you to build in many different ways and can be used to build stages. Event setup can create a host of access-related challenges, whether that be low-level access in terms of setting up stand and exhibition areas, to the more demanding tasks that require work at height on a more extreme scale. Whether indoors or out, the Instant HD range of products provide the perfect platform from which to work. From Newcastle’s £40m City Library, to the Royal College of Surgeons and Montreal’s Metro Station, Instant Upright have a long and successful history of working across a range of commercial projects where differing levels of access require a range of solutions.